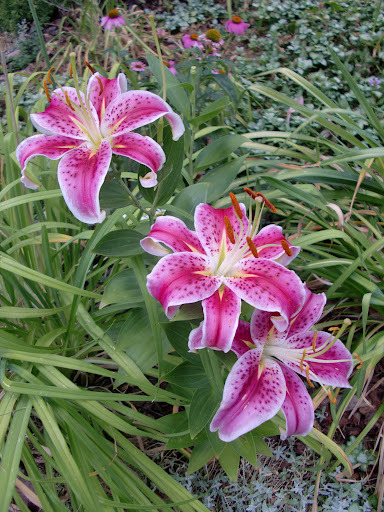 A summer glimpse of star gazer lilies. What a great Saturday! Today was the first day, in a long line of days, when I actually had energy and a positive spin. I (successfully) had gum-jaw-alignment surgery about a week and a half ago. That first week was completely a blur, although I do remember the “meals” that I ate. My periodontist ordered me to stay away from all things spicy, acidic, and extreme in temperature. Once all of my dietary modifications were made, I was relegated to enjoy multiple meals of mashed potatoes, pureed chicken noodle soup, and Greek yogurt. (I did sneak in some homemade brownies that I pureed with some ice cream; that absolutely turned around my frame of mind!) 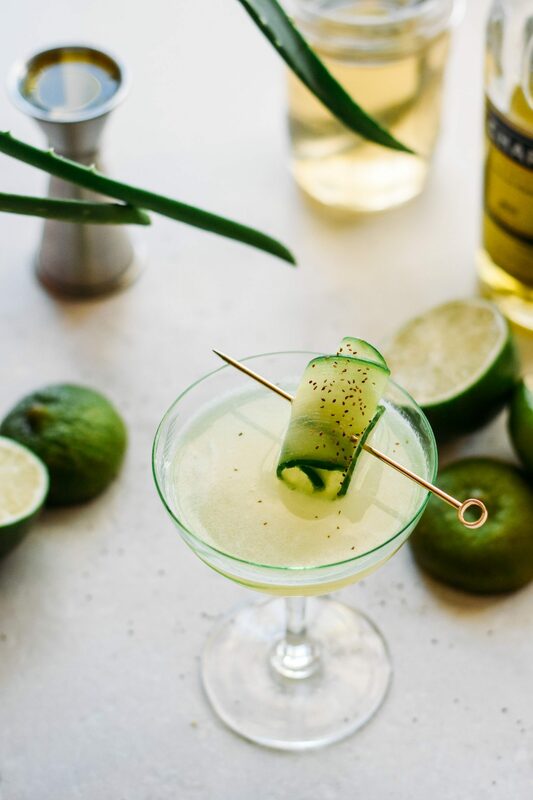 I could safely conclude that one truly never knows how deeply connected they are to the flavors, textures, and aromas of the foods they enjoy, until they are forbidden from eating those foods. With an iced coffee in hand, I escaped my house this afternoon and ventured down to South Broadway, where I visited Hazel & Dewey, one of my favorite kitchen shops. I have mentioned this spot before; they have the cutest and most unique kitchen accessories. 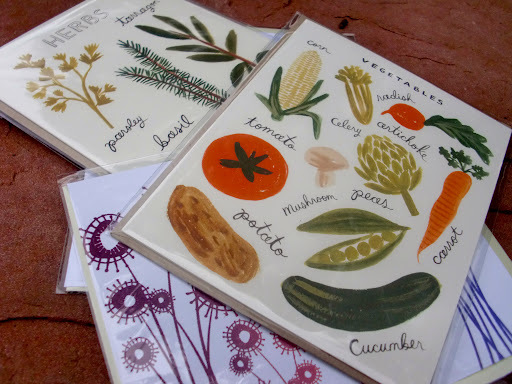 These adorable garden-centric cards captured my attention, inspired me, and set me off on a culinary quest. My two favorites of the stack were produced by Rifle Paper Company, who makes garden- and kitchen-inspired designs and renders them onto greeting cards, notepads, and recipe cards. Earlier during the week, over the course of several days, I harvested herbs from the garden. Doing so didn’t take that much energy out of me, and the activity made me feel like I was contributing something to my life, while recovering from the surgery. The winter savory, sage, oregano, basil, thyme, and parsley were all at their peak. Armed with garden sheers, I snipped the herbs, making sure to select portions that had not flowered and that were young and tender. 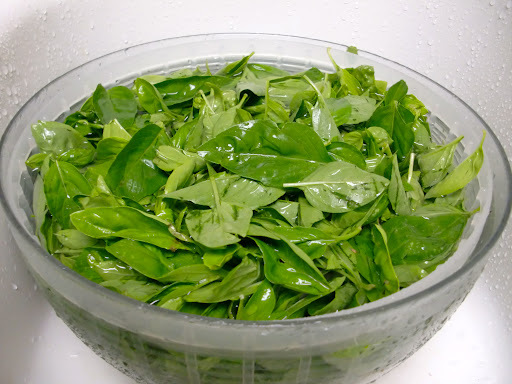 Washing basil in the sink. Getting ready to spin-dry the basil. Setting the sage out to dry! 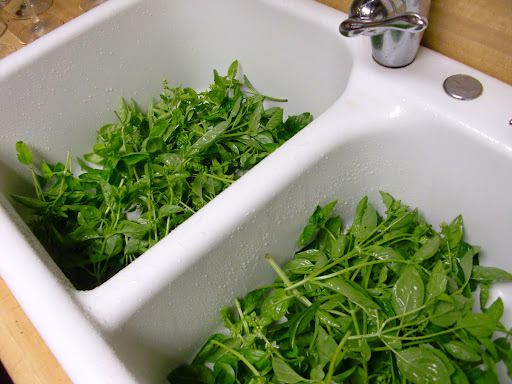 Next, I cleaned my sink and used it to wash out the herbs, making sure that any dirt or critters were sifted away. 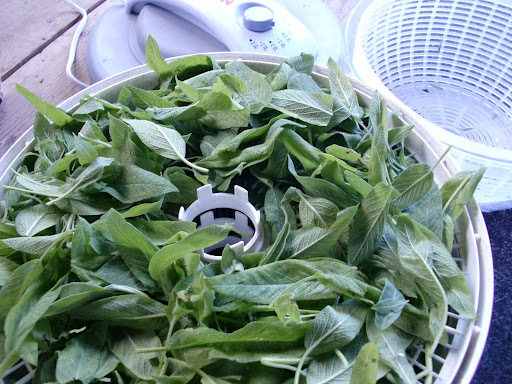 Then I placed the herbs in a salad spinner to quickly whisk away any water. Before placing the dry herbs in the dehydrator, I made sure to remove large stems from the leaves; the smaller, tender stems could remain. 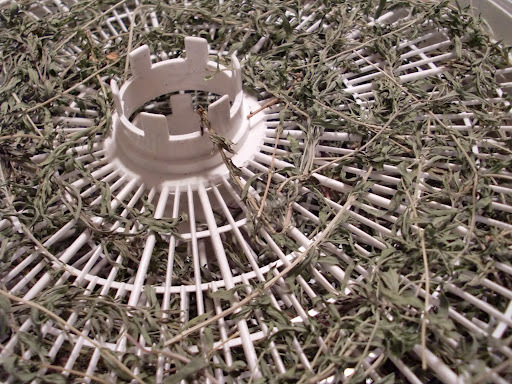 I placed the herbs on the drying racks and set the dehydrator on the lowest setting. 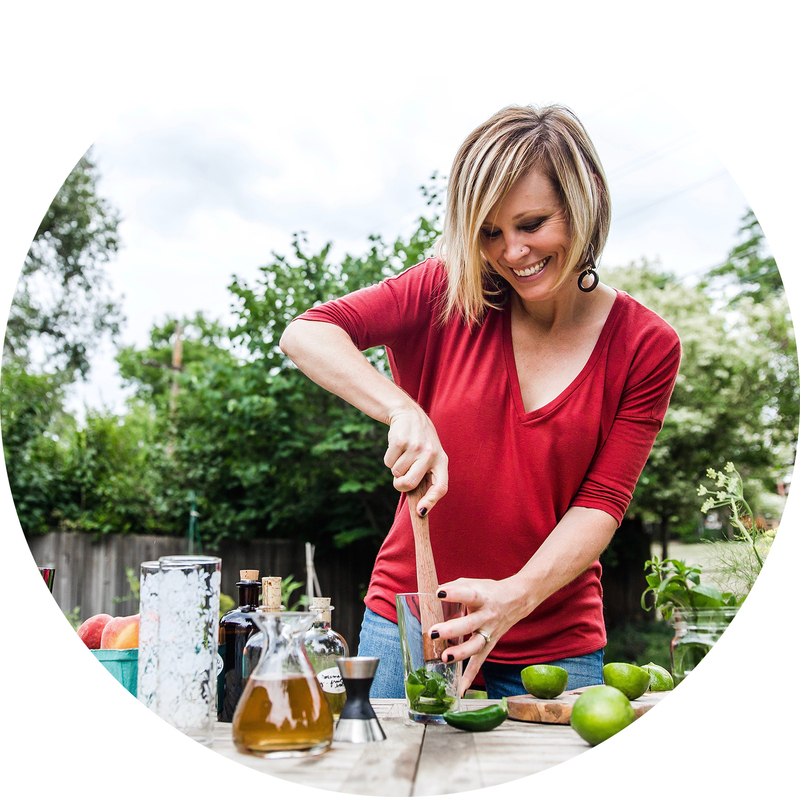 When drying your herbs, feel free to place different herbs in the dehydrator at the same time, since the aromas and flavors will not “cross contaminate.” I always store each herb separately, in an air-tight container, making sure not to crush the leaves. 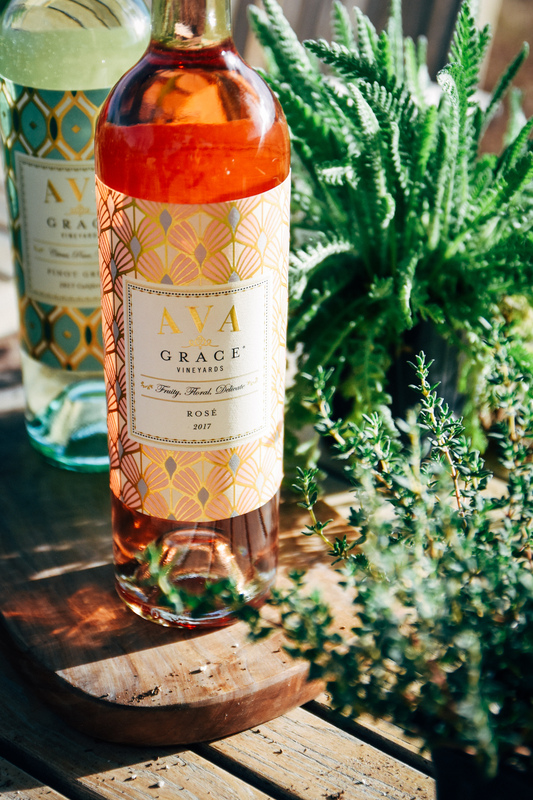 The aroma and flavor are preserved longer by refraining from crushing the leaves. Dried winter savory, one of my favorite culinary herbs. For today’s project, I assembled several herbs and crushed them with a mortar and pestle. If you do not have one, you can gently shred the herbs in a bowl with your hands. I simply grabbed a handful of each herb and blended them all together. 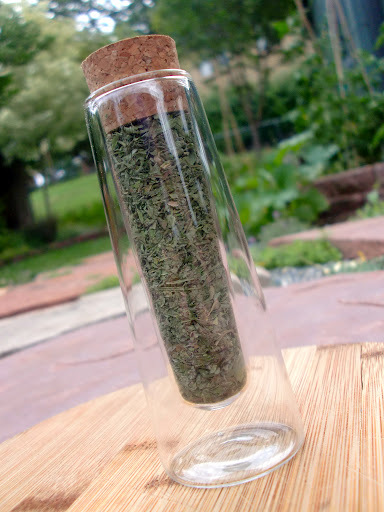 Almost every year, my boyfriend and I assemble the dried herbs from our garden and hand out our “yard blend” to friends and family. 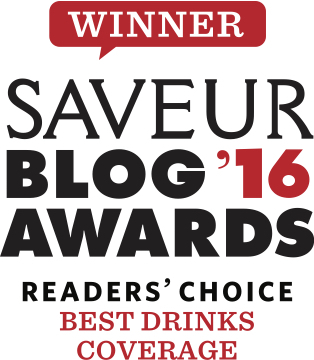 Each vintage is dominated by a different aroma: one year we had bumper crop of winter savory, so that year’s yard blend radiated with its aromatic, spicy notes. 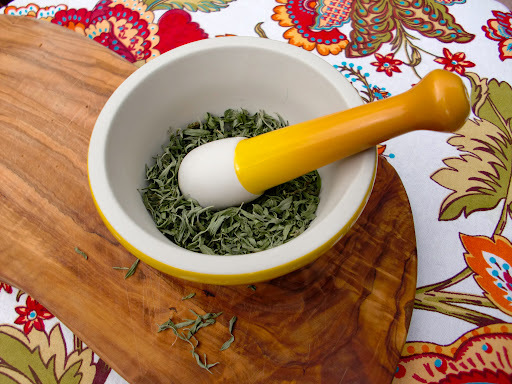 Crushing winter savory with my summery Le Creuset mortar and pestle. The cheery color makes the process all the more fun, in my opinion! My new herb jar, made by Roost, showcasing today’s blend. Here we are with the finished product! The lovely double-walled glass herb jar was a fun find at Hazel & Dewey earlier in the day. I am in love with the corked top. I immediately made a quick afternoon snack of a fried egg, seasoned with the dried herbs, and a piece of toast. 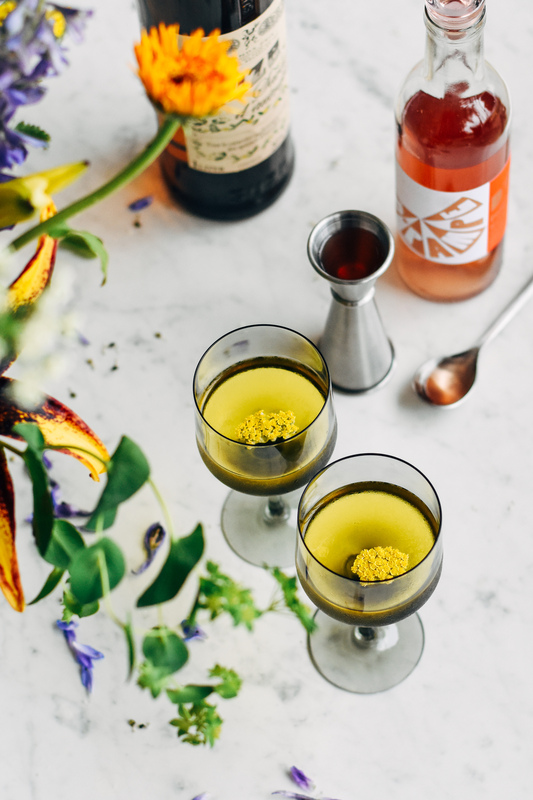 The applications for a dry herb blend are boundless, but I especially love tossing it on fried eggs, adding it to homemade salad dressings, and using it as a dry rub for chicken, seafood, or steak. Until next time, enjoy every snippet of life that you can! And if you can preserve it, even better!